I am familiar with it. Given the current status with three members of the Assembly taking the ballot initiative away from the voters, I’m looking forward to next steps. I am very supportive. I believe Juneau needs and deserves an Arts and Culture Center for a number of reasons, including: 1. Arts and culture, 2. Economic growth, 3. Winter tourism, 4. Juneau being a world class Capital City. I support CBJ investment in the New JACC. I know CBJ has already committed $1M in sales tax allocation. Given that the current assembly recently denied the voters a choice in allocating bonds for generating investment funds, I will like to review all the possibilities and work with the assembly and CBJ staff to determine the most successful way to bring this project to fruition. gain parking on the Whittier Ave side of the new JACC. from the city is too big a financial commitment for the city and taxpayers at this time. of the 1% sales tax revenue and $4.5 million in general obligation bonds to refurbish Centennial Hall. renovations were part of the original $12 million request from the city. I’m very grateful to the New JACC board for taking the time to give us Assembly candidates an information session and now I am much more familiar with the proposal for the new building and the current management situation of the JACC and Centennial Hall. I support building the new facility with financial support from the City. 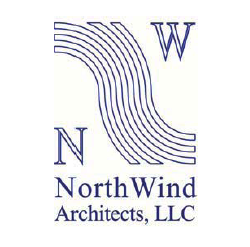 At this time, I think I would support funding the facility through bonds, but as somebody with a relatively recent introduction to this project, I would like to personally research all of the options thoroughly. I do support CBJ investment in the new JACC, likely in the form of general obligation bonds and use of sales tax revenues. The timing of the project should coincide with the retiring of existing debt so that property taxes do not increase. With the increase in the number of tourists, sales tax revenues have also been gradually increasing. What is your position on the New JACC project generally? Strong Support. Do you support CBJ investment in the New JACC, and what form would you consider best (general obligations bonds, revenue, bonds, sales tax allocation, or other means of generating investment funds)? Bonding is best as it would require vote of support from the citizens. Ownership is a minor issue. Revenue Bonds are too risky for such a start-up. I am very familiar with the new JACC project. I’ve spoken with and watch a presentation from Ben Brown regarding the project. The questions I had were similar to those raised about the unknown variables. What’s the CBJ true cost? Who’s going to be the owner of the building? Who’s going to be liable for the build and operations? I am a supporter of the dual management position. I can appreciate the operational efficiencies created by that management structure. I am for the new JACC. I believe it would be a wonderful addition to Juneau’s cultural environment. I see the new JACC as a gem in the heart of the down town arts and culture center. Paying for the JACC has, without question, has become the controversial component of the project. Following a couple of challenging years, economically speaking I can not support taking on additional debt to accomplish this goal. However, I do want the new JACC built, I know the best way to accomplish that is to improve Juneau’s financial capabilities. Paying down city debt, increasing sales tax revenue, and setting aside money for the project in manageable amounts is the most realistic answer on how to fund this project. The CBJ is going to be invested in the new JACC project, lowering the financial burden placed upon the citizens will increase the likelihood that this project will get built. How familiar are you with the New JACC project, and what if any questions do you have about it? Familiar with the concept insofar as material is on your website. What do you know and think about the dual management of the JACC and Centennial Hall? Not sure what this question is asking. What is your position on the New JACC project generally? I think the project has potential to advance community economic development. Do you support CBJ investment in the New JACC, and what form would you consider best (general obligations bonds, revenue, bonds, sales tax allocation, or other means of generating investment funds)? I support using CBJ’s bonding authority for low cost financing to be paid back over time. I have reservations about any taxes going into project funding, operations, and maintenance. I am familiar with the project, aided lately by discussion about it at the CBJ Assembly meetings and through presentations from the New JACC board. I also have many close friends and colleagues who are strong advocates for the project. 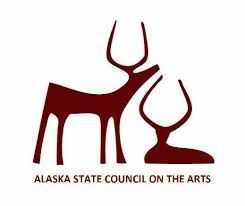 The New JACC is a great project that would provide many benefits to Juneau: it would provide needed space for the Juneau arts. Studies show that arts centers revitalize the surrounding neighborhood and the New JACC fits right in with the new Andrew P. Kashevaroff (APK) state museum and broader Willoughby revitalization, and the Blueprint downtown planning. 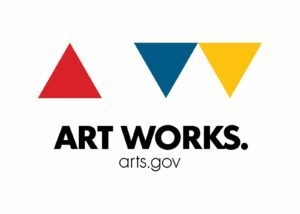 The New JACC would strengthen our arts sector and adds a critical element to attract/keep young and old people living here. A performing arts center would make Juneau a more well-rounded, mature community, and offers another venue for visitors. It would encourage more visitors to walk to and through the Willoughby district, thereby helping to alleviate waterfront congestion. I am not as familiar with the new JACC project as I would like to be. However, I do believe that the JACC should have been placed on the ballot for public consideration. Supporting the Arts and Culture has been a large part of the Juneau identity. Putting the issue to the voters seemed like a reasonable way to decide this contentious issue. 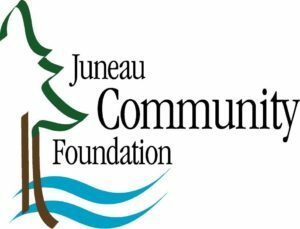 A vote would not only judge if Juneau wanted a new JACC, but if the community is willing to pay for it. Iam willing, but is a majority of Juneau willing to pay for it? A ballot issue will make this clear. I am generally supportive of the JACC project. There was an expansion that was promised in the 1% sales tax CIP, but I do not think that expansion project was ever completed. The JACC is aging and the cost of maintaining the structure may be more than building and maintaining a new facility that is built to support the specific needs of the JACC and community. How much support the city should commit is ultimately an Assembly decision. I would need more information and would rely on the advice of JACC and City professionals regarding how much support and the form of support needed. However, whatever the commitment, I would favor a short-term commitment utilizing a combination of sources. But I would not want a bond commitment of more than 5 years; allowing future assembly members to have access to the funding stream for future priorities. On a scale of 1-10 I’d say I’m at a 7-8 on familiarity. I’d like to know what the latest cost estimates are to complete the project as well as the estimated income and expenses are for ongoing operations. Yes, I do support CBJ investment in the new JACC. However, I think it’s important to note that balance sheets, budgets and bonding capability/capacity are not static. We would need to look at the next funding request at that moment in time and do what makes most sense as a community. Seems that a bonding mechanism would best address this.